Whether you own a franchise, a multi-location business or even a national association, one thing is certain: you cannot ignore digital marketing. Your customers are searching online for local businesses more than ever. That's why each location needs an effective, scalable marketing strategy. So, what steps can you take to start marketing your multiple locations? 1. Give each location some freedom to market on its own. First of all, you need to give your stores a chance to shine by allowing them to market at the local level. 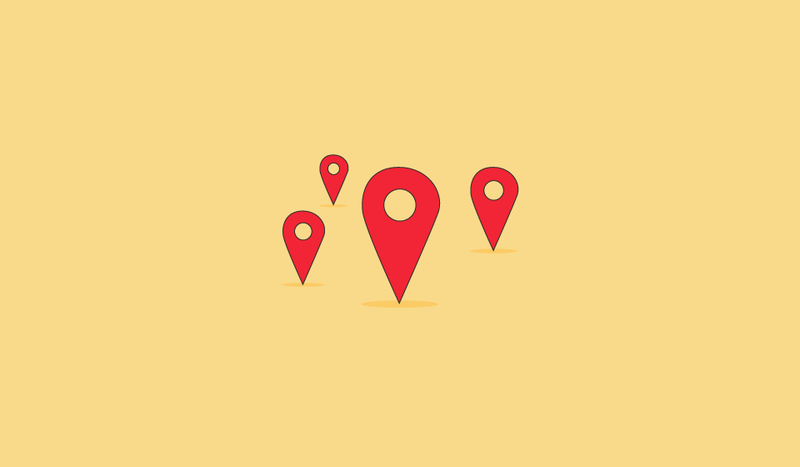 Of course, you want to keep most of your marketing consistent (we'll get into that in a moment), but since each location serves a different area, you'll also want your marketing to be localized to each store. Think about it: if one of your stores is in Cincinnati, what good will it do to market your Cleveland location the exact same way? Start by talking with each store's owner to learn more about their marketing ideas. Then, you can brainstorm how to use those ideas in your business's best interest, as well as how to use those ideas to benefit and reach customers in that store's local community. 2. Keep your marketing consistent. As we said, each of your stores will serve a different local area, so you'll want to give each of them some control over their own local marketing initiatives. However, you don't want your stores to be inconsistent with one another. Not only will this confuse customers who visit different stores, but it will lessen your brand identity. Everyone should be using the same logo, similar imagery and consistent branded colors. What are some other ways that you can keep your marketing consistent? 3. Communicate regularly with your locations. Nobody likes being out of the loop, and you can't afford to have any of your stores' owners in the dark. I know that we're talking about marketing here, but regardless of what's going on in your business, you need to be transparent and talk to everyone involved whenever something new changes. The last thing that you want is for anyone to be unaware and go against the brand standard that you set for all of your stores. For each of your stores, get to know how all of the owners like to be contacted. Do they prefer emails or phone calls? Should you contact them in the morning or in the evening? Make it as simple and comfortable for everyone involved. 4. Have your stores compete with each other (but make everyone a winner). A little friendly competition never hurt anyone, right? In all seriousness, having multiple locations can create an opportunity to launch competitive marketing initiatives between your stores that can, in the long term, positively affect your business as a whole. Let's say that your restaurant has announced a new sandwich and your goal for the month is to make as many sales off of that sandwich as possible. So, you decide to hold a contest to see which of your stores can sell the most and the winner of that store gets some incentive. By holding this competition, this will encourage each of your stores to promote the item, and that will increase brand awareness, increase sales and convert some new customers into regular buyers who enjoyed the new sandwich. 5. Know each of your stores' markets. One important thing about marketing to multiple locations is understanding each of your markets. For example, one store's social media presence is great but has a difficult time reaching new customers; that store, in particular, may need a paid advertising plan. However, another one of your stores has no problem reaching new customers. But, customers near that store have a difficult time finding them online, so that store could benefit from a local search marketing plan. You must pay attention to what is and isn't working for each location to fully optimize your marketing budget. If you don't, you'll wind up wasting money and potentially missing out on connecting with new customers and retaining current customers. Owning a multi-location business is exciting and full of opportunity. But, if you don’t learn how to market each of your locations effectively, you could risk losing customers while also hurting your business's brand. Therefore, it’s crucial that you develop a solid digital marketing strategy across the board for all your locations. If you follow these steps, you'll ensure that each location meets the same brand standard and also serves its customers in their own unique, localized way. And, if you need any additional help, we have a digital marketing plan for multi-location businesses that can work for you!